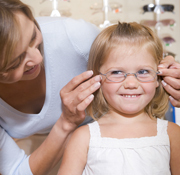 As a Doctor of Optometry, Douglas W. Stephey provides comprehensive vision care to both children and adults while his background in education contributes to his enhanced approach to vision-related learning and reading difficulties. Dr. Stephey specializes in helping individuals with visual-motor problems, reading difficulties, and/or visual processing deficits. Recently, Dr. Stephey added Interactive Metronome to his practice to help his patients who have been diagnosed with dyslexia and problems with motor planning and sequencing. Treatment for and Interactive Metronome programs for Learning-related Vision Problems, including ADD/ADHD, Dyslexia, Reading, and Tracking Problems, etc.